KINGWOOD — A $24,000 grant will help improve Cheat River access. 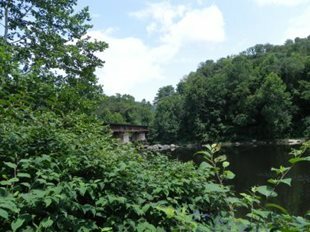 Friends of the Cheat Executive Director Amanda Pitzer said the grant is to design and construct a river access within Rowlesburg city limits. The access is to be designed within Americans with Disability Act (ADA) recommendations. The Federal Highway Administration grant is through the state Division of Highways’ Transportation Alternatives Recreation Trail program. The access will be at a railroad trestle (known as the Black Bridge) near the Rowlesburg Volunteer Fire Department and the Rowlesburg Clinic. The site will be part of the Upper Cheat Water Trail, a 40-mile recreational water trail between Hendricks, in Tucker County, and Rowlesburg. The timeline for the project is “about two years,” according to Pitzer. The first step in the process was approval by Rowlesburg’s town council. Mayor Barbara Banister said that was granted unanimously at council’s July 28 meeting. Step two will be a meeting of FOC and stakeholders to determine what the layout of the access might look like. Concurrently, “we’ll hire an engineer to bring those ideas to life,” Pitzer said.